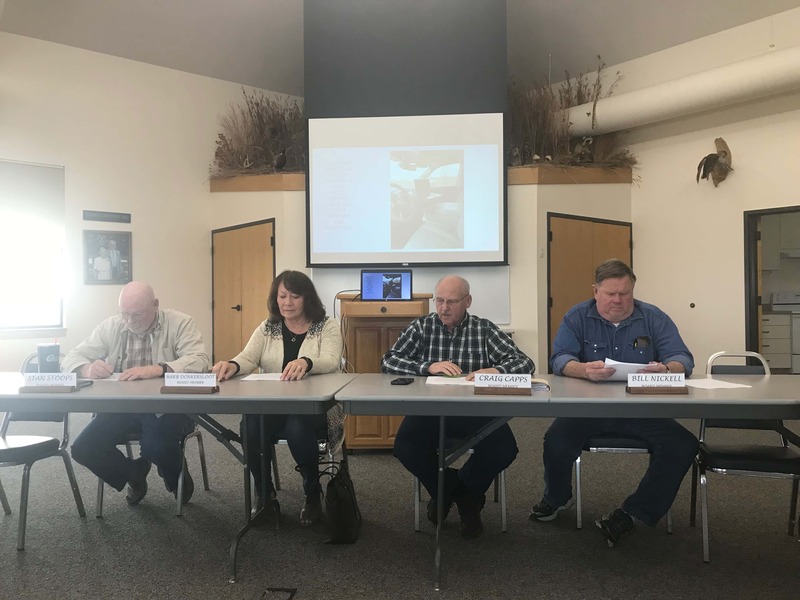 Washington County Conservation Board met on April 12. Photo by Sam McIntosh. The Washington County Conservation Board has decided to forego plans for a volunteer campground host position at Marr Park. The board was considering having volunteer host services at the campground in exchange for free camping, until a contract was given to the Washington County Attorney’s Office. Attorney John Gish determined it would be a liability issue in that although the hosts weren’t being offered monetary compensation, they would still be considered employees. Gish said he admired the board’s objective in saving money. Board member Bill Nickell said it was a good idea, and he wishes they could work out a new plan while avoiding liability issues. The campers that were selected to volunteer have already been notified of the program’s cancellation.